After the long, intense heat of summer, at last we have respite as the mornings at least are somewhat cooler. 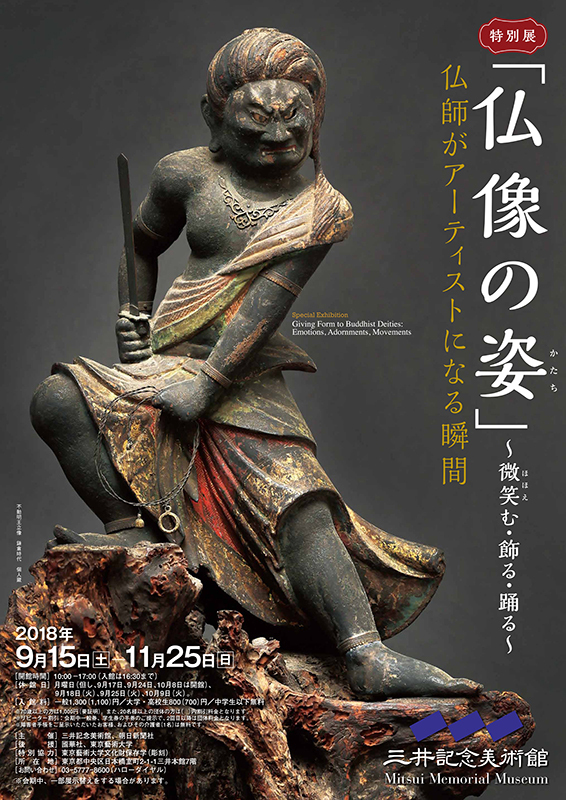 We have had the pleasure of collaborating with the Mitsui Memorial Museum on their current exhibition of Buddhist sculpture, "Giving Form to Buddhist Deities- Emotions, Adornments, Movements". This exhibition highlights the incredibly sensitive, individualistic, and skillful work of Japanese Buddhist sculptors, dating back to ancient times. Focusing on the unique faces, adornment, and movement of each work, one can see here from a number of angles the Japanese spirit and sense of creativity. "Giving Form to Buddhist Deities- Emotions, Adornments, Movements"